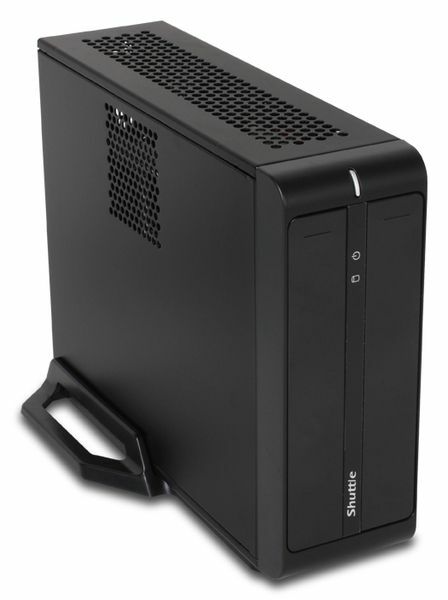 Shuttle has announced two new Embedded Slim series systems that will be equipped with VIA's Nano CPUs. The XS92 and XS29F branded systems will both be showcased at Computex. The XS92 will feature faster VIA Nano L CPUs while the XS29F will be reserved for VIA's Nano U line of CPUs that are more power efficient. The power efficient VIA Nano U series of CPUs gave Shuttle a chance to create a noise-free system without fans due to the low thermal output of the Nano U series. These new SFF PCs are scheduled for June launch, while the rest of the details will be revealed at Computex show next week.